carnival is accorded exceptional status and is therefore also called the "fifth season". masks are inextricably linked to carnival parades all over the world. even though we are facing nearly summer time we have decided to invite you today for a jaunt to the famous tyrolian masks. around the world you can find various traditions of carnival. in tyrol and or south tyrol there is an unique symbolization of the fight between light and darkness or in other words good and evil. elaborated hand-made masks populate the theme and create a great atmosphere. 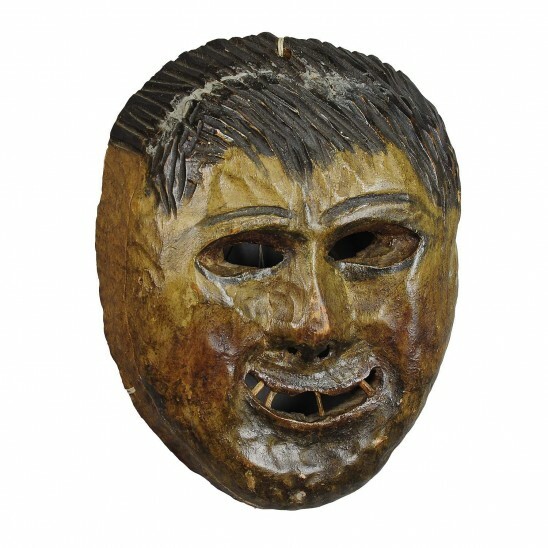 here you find a selection of diffeent types of tyrolian wooden carved and painted tyrolian masks. they can be assigned to the period of the earyl half of the 20th century.